Pond and landscape lighting can greatly enhance the beauty and enjoyment of your water feature and the area surrounding it. 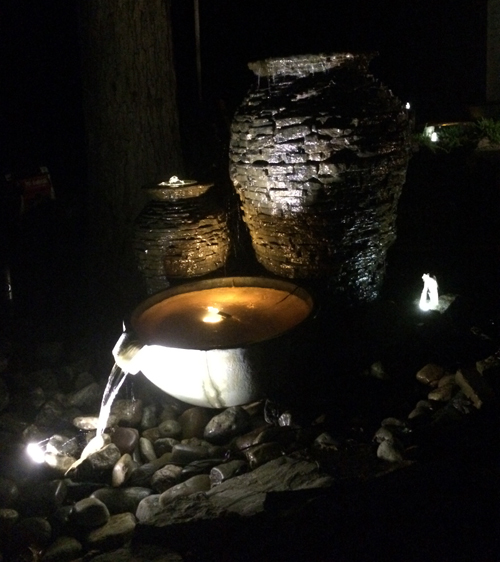 The addition of lighting can not only add a new dimension to your pond or water feature, it can allow you to more fully enjoy it at night after a busy day. Pond and landscape lighting can also increase the aesthetic appeal of your home and the surrounding landscaping. Lighting can be used to highlight an aspect of your landscaping or water feature or just to create an overall ambience. Additionally, there are a number of practical benefits of pond and landscape lighting. Lighting can make outdoor areas more inviting and provide additional entertaining space for outdoor get-togethers. It can illuminate uneven back yards and help delineate water features to prevent accidents after dark. It can also make your hope more secure by illuminating dark areas and deterring potential intruders. Today’s lighting options are safer, more economical, and more energy efficient than ever before. They can range from a single spotlight to accent a particular feature of your pond or landscape to a number of lights. 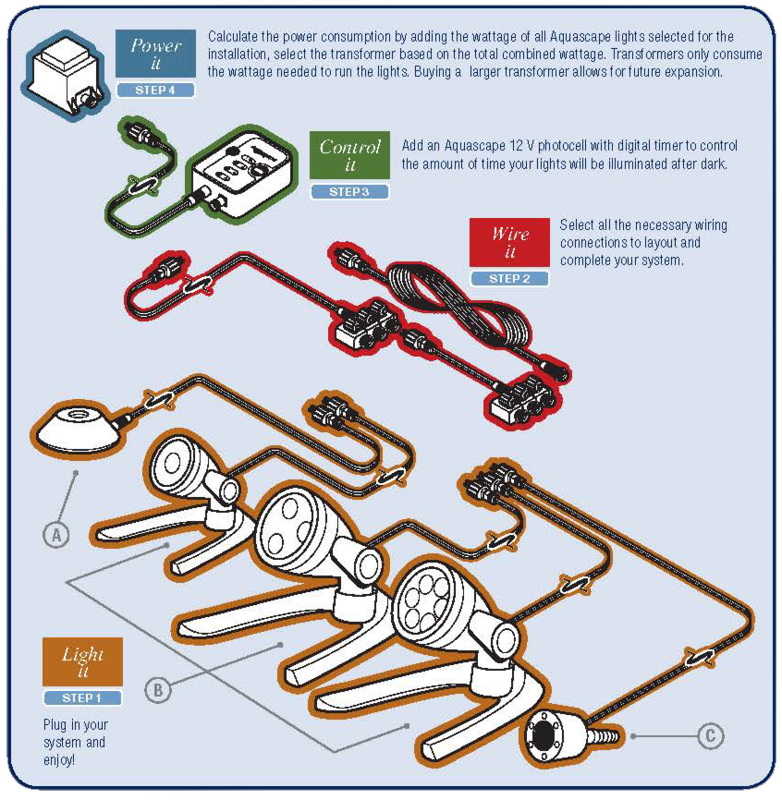 Your lights can also be connected to a photocell with an integrated timer to make your pond and landscape lighting completely hassle free. 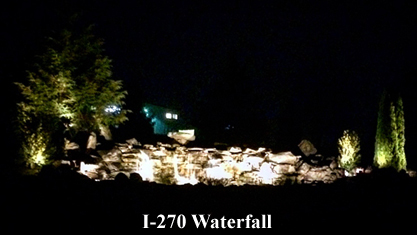 Lights range from 1-Watt Waterfall Lights which can be tucked into the rocks of a cascading waterfall to 1-Watt, 3-Watt and 6-Watt LED Spotlights which can be used to highlight a variety of areas both in and out of a water feature.